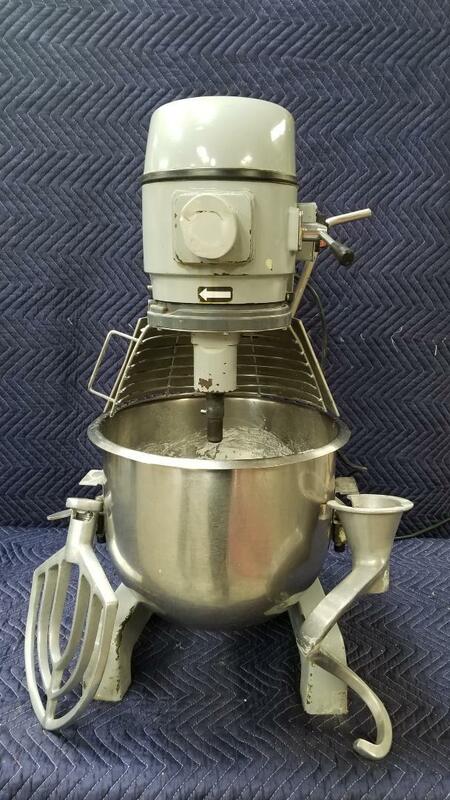 1 Centaur Planetary bench mixer with a 20-qt. capacity. Side-mounted controls. The unit has three speeds that work but the gear shifter is loose. Bowl guard and bowl lift lever interlock. 1⁄2-HP motor. 115 V/60 Hz/1 ph. 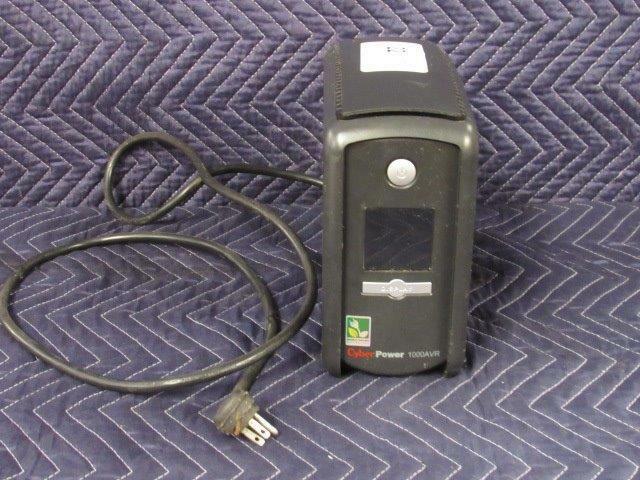 13719 $300.00 $310.00	 login to bid. login to bid. Sold! Call us today at 7605590986 to learn more about selling your items! Centaur Planetary bench mixer with a 20-qt. capacity. Side-mounted controls. The unit has three speeds that work but the gear shifter is loose. Bowl guard and bowl lift lever interlock. 1⁄2-HP motor. 115 V/60 Hz/1 ph. 2 Nice TRUE Display Freezer/Merchandiser. Great for any location! Personalize with your signage that will be beautifully lit. 3 PVC-coated wire shelves are adjustable on 1⁄2-in. increments. LED interior lighting provides beautiful, even light and is safety shielded. 93433 $726.00 $751.00	 login to bid. login to bid. Nice TRUE Display Freezer/Merchandiser. Great for any location! Personalize with your signage that will be beautifully lit. 3 PVC-coated wire shelves are adjustable on 1⁄2-in. increments. LED interior lighting provides beautiful, even light and is safety shielded. 3 Upblast Commercial Fan by Captive-Aire Systems. Features: weather resistant construction, Non-overloading backward inclined wheels, blades and inlets fabricated from aluminum, and quiet operation. Motor not included. 90522 $150.00 $155.00	 login to bid. login to bid. Upblast Commercial Fan by Captive-Aire Systems. Features: weather resistant construction, Non-overloading backward inclined wheels, blades and inlets fabricated from aluminum, and quiet operation. Motor not included. 4 Dipping Cabinet by Nelson. 8 hole double row chest type reach in cabinet with a flat bottom design. 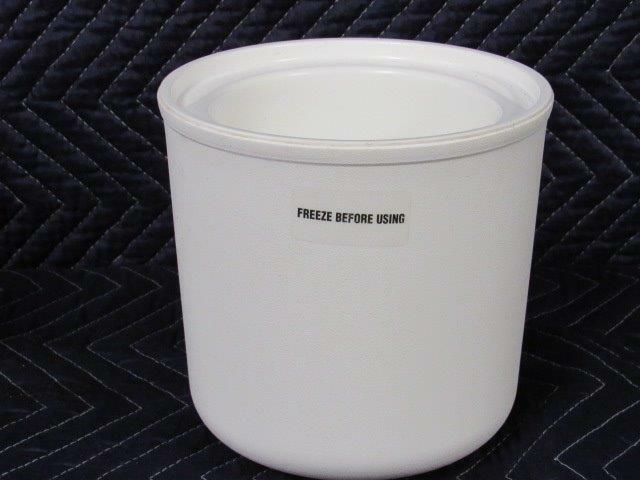 The flat bottom design works well for custard applications or dipping environments where large capacity tubs are used for ice cream or italian ices. Also great for juice bars. 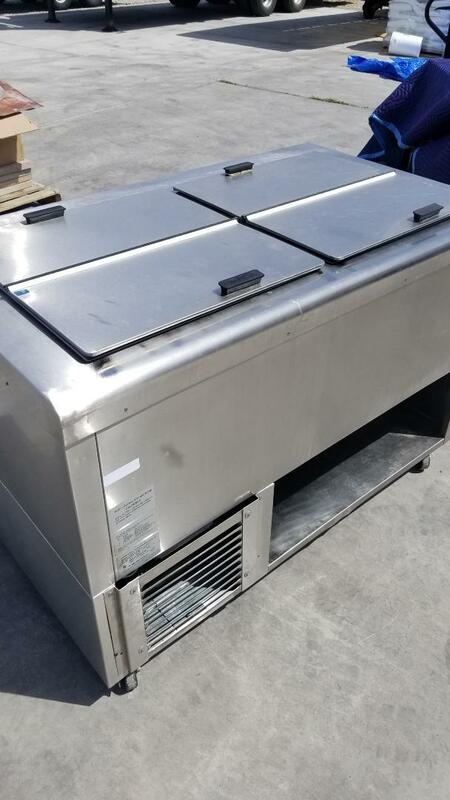 Manufactured with permanent stainless steel gaskets around freezer openings and digital t-stats. On 2.5 inch casters. 96410 $500.00 $525.00	 login to bid. login to bid. Dipping Cabinet by Nelson. 8 hole double row chest type reach in cabinet with a flat bottom design. The flat bottom design works well for custard applications or dipping environments where large capacity tubs are used for ice cream or italian ices. Also great for juice bars. Manufactured with permanent stainless steel gaskets around freezer openings and digital t-stats. On 2.5 inch casters. 5 Hussmann Open Air Multi-Deck Merchandiser. Open front, (3) lighted cantilever shelves, lighted canopy, plexiglass end panels, adjustable temperature control, time-controlled automatic defrost & thermometer. Front air intake & discharge. Bottom mount self-contained refrigeration. White interior & exterior. 93433 $105.00 $110.00	 login to bid. login to bid. 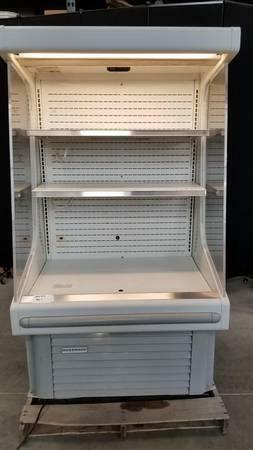 Hussmann Open Air Multi-Deck Merchandiser. Open front, (3) lighted cantilever shelves, lighted canopy, plexiglass end panels, adjustable temperature control, time-controlled automatic defrost & thermometer. Front air intake & discharge. Bottom mount self-contained refrigeration. White interior & exterior. 6 Nieco Automatic Gas Flame Broiler, Hamburger Conveyor Charbroiler. Triple Conveyor belts, each with it's own setting. 110 volts gas fired burners. All stainless steel frame. 93433 $1.25 $1.50	 login to bid. login to bid. 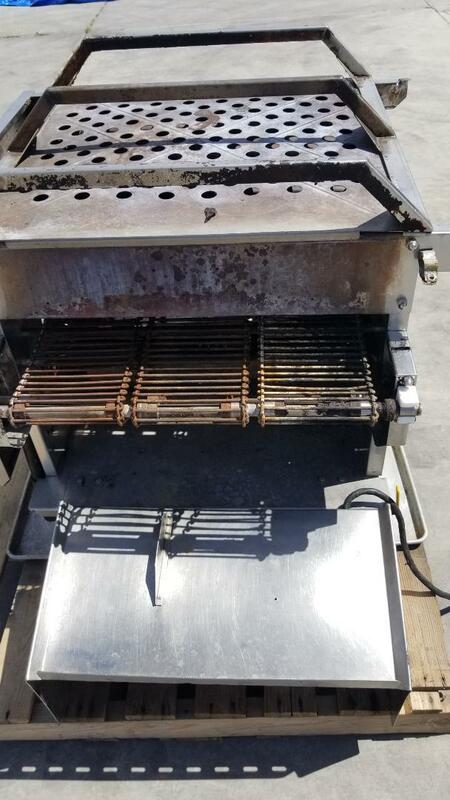 Nieco Automatic Gas Flame Broiler, Hamburger Conveyor Charbroiler. Triple Conveyor belts, each with it's own setting. 110 volts gas fired burners. All stainless steel frame. 7 Deep Freezer by Kenmore. Provides spacious capacity giving you the ability to bulk up on food. Easy temperature control and drainage. 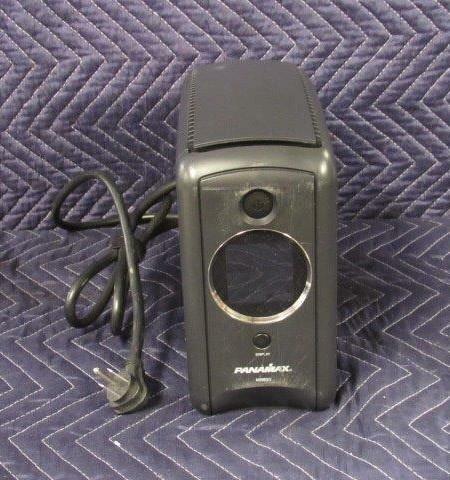 47306 $121.00 $126.00	 login to bid. login to bid. Deep Freezer by Kenmore. Provides spacious capacity giving you the ability to bulk up on food. Easy temperature control and drainage. 8 Wire Shelving on 5 inch Casters. Measures at 74 inches height x 24 inches depth x 48 inches width. 47306 $31.00 $32.00	 login to bid. login to bid. Wire Shelving on 5 inch Casters. Measures at 74 inches height x 24 inches depth x 48 inches width. 9 Sharp professional LED Display. This is a beautiful programmable TV like monitor that has what it takes to get your message across! Use this as a dynamic menu board or whatever your needs are. Designed for maximum impact, durability, and sized for flexible installation, this 42 (42 diagonal) inch class display represent a dynamic new indoor digital signage solution. Thin and lightweight enough to ensure an easy fit in stores, offices, and public spaces, the PN-U423 display boasts the outstanding image quality needed to deliver truly compelling signage. 93433 $115.00 $120.00	 login to bid. login to bid. 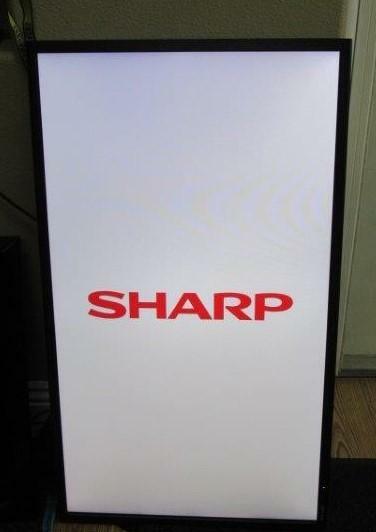 Sharp professional LED Display. This is a beautiful programmable TV like monitor that has what it takes to get your message across! Use this as a dynamic menu board or whatever your needs are. Designed for maximum impact, durability, and sized for flexible installation, this 42 (42 diagonal) inch class display represent a dynamic new indoor digital signage solution. Thin and lightweight enough to ensure an easy fit in stores, offices, and public spaces, the PN-U423 display boasts the outstanding image quality needed to deliver truly compelling signage. 10 Sharp professional LED Display. This is a beautiful programmable TV like monitor that has what it takes to get your message across! Use this as a dynamic menu board or whatever your needs are.Designed for maximum impact, durability, and sized for flexible installation, this 42 (42 diagonal) inch class display represent a dynamic new indoor digital signage solution. Thin and lightweight enough to ensure an easy fit in stores, offices, and public spaces, the PN-U423 display boasts the outstanding image quality needed to deliver truly compelling signage. Sharp professional LED Display. This is a beautiful programmable TV like monitor that has what it takes to get your message across! Use this as a dynamic menu board or whatever your needs are.Designed for maximum impact, durability, and sized for flexible installation, this 42 (42 diagonal) inch class display represent a dynamic new indoor digital signage solution. Thin and lightweight enough to ensure an easy fit in stores, offices, and public spaces, the PN-U423 display boasts the outstanding image quality needed to deliver truly compelling signage. 11 Awesome Waring Immersion Blender! Features: Heavy-duty motor, adjustable speed from 5,000 to 18,000 rpm, blade shaft made of stainless steel and is dishwasher safe! Has a continuous-on feature which keeps the unit on without needing to hold a button. Safe to use in pots with a maximum 40-qt. capacity. 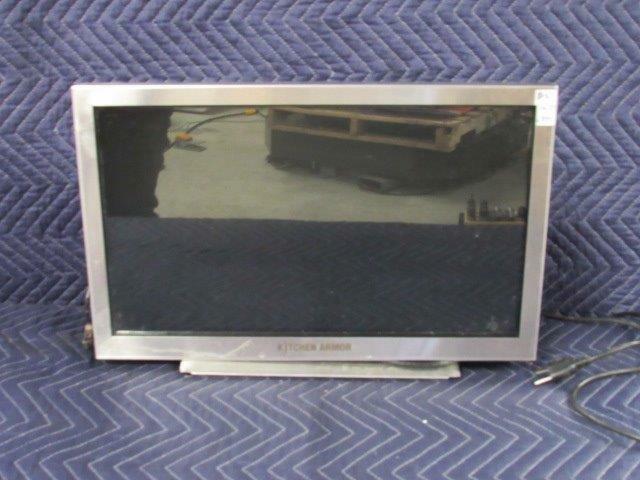 82950 $140.00 $145.00	 login to bid. login to bid. 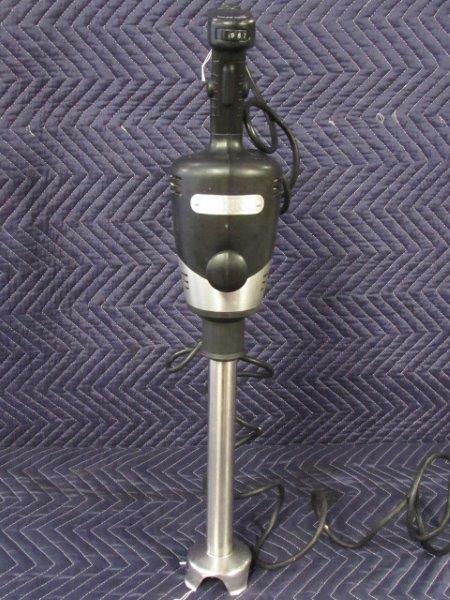 Awesome Waring Immersion Blender! Features: Heavy-duty motor, adjustable speed from 5,000 to 18,000 rpm, blade shaft made of stainless steel and is dishwasher safe! Has a continuous-on feature which keeps the unit on without needing to hold a button. Safe to use in pots with a maximum 40-qt. capacity. 93433 $1.00 $1.25	 login to bid. login to bid. 13 EZ-Fit Cup Dispenser by San Jamar! Dispenses cup sizes from 8 oz. to 46 oz. 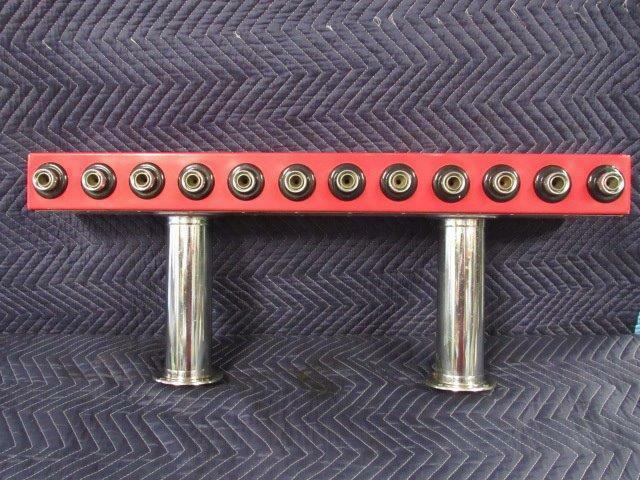 Accommodates rim diameters from 2 7/8" to 4 3/4". Sleek Black. EZ-Fit Cup Dispenser by San Jamar! Dispenses cup sizes from 8 oz. to 46 oz. 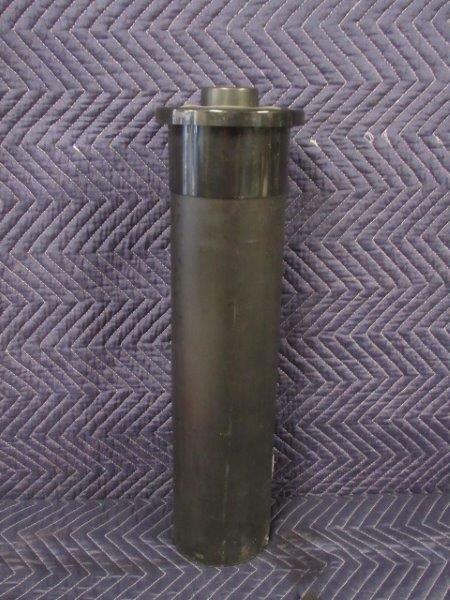 Accommodates rim diameters from 2 7/8" to 4 3/4". Sleek Black. 14 EZ-Fit Cup Dispenser by San Jamar! Dispenses cup sizes from 8 oz. to 46 oz. Accommodates rim diameters from 2 7/8" to 4 3/4". Sleek Black. 15 EZ-Fit Cup Dispenser by San Jamar! Dispenses cup sizes from 8 oz. to 46 oz. Accommodates rim diameters from 2 7/8" to 4 3/4". Sleek Black. 16 EZ-Fit Cup Dispenser by San Jamar! Dispenses cup sizes from 8 oz. to 46 oz. Accommodates rim diameters from 2 7/8" to 4 3/4". Sleek Black. 17 Dinuba 10 Liter Stainless Steel Water Dispenser! With Stand. Offer lightweight water dispensing, as well as stylish countertop or refrigerator option. 68031 $21.00 $22.00	 login to bid. login to bid. Dinuba 10 Liter Stainless Steel Water Dispenser! With Stand. Offer lightweight water dispensing, as well as stylish countertop or refrigerator option. 18 Unique 12 Head Beer Tap! Great for any restaurant or bar! 93433 $22.00 $23.00	 login to bid. login to bid. Unique 12 Head Beer Tap! Great for any restaurant or bar! 19 Unique 12 Head Beer Tap! Great for any restaurant or bar! 47306 $25.00 $26.00	 login to bid. login to bid. 74366 $36.00 $37.00	 login to bid. login to bid. 21 Panamax Uninterruptible Power Supply. 850VA/510W maintains power to components during blackouts and brownouts. 5 battery-powered, surge-protected outlets. 4 always on, surge-protected outlets. Resettable circuit breaker. Front-panel LCD display. 74366 $5.00 $6.00	 login to bid. login to bid. Panamax Uninterruptible Power Supply. 850VA/510W maintains power to components during blackouts and brownouts. 5 battery-powered, surge-protected outlets. 4 always on, surge-protected outlets. Resettable circuit breaker. Front-panel LCD display. 22 CyberPower Intelligent LCD is a mini-tower UPS with line interactive topology. Features: Battery Backup, Surge Protection, Data Line Protection, Line Interactive Topology, Automatic Voltage Regulation, etc. CyberPower Intelligent LCD is a mini-tower UPS with line interactive topology. Features: Battery Backup, Surge Protection, Data Line Protection, Line Interactive Topology, Automatic Voltage Regulation, etc. 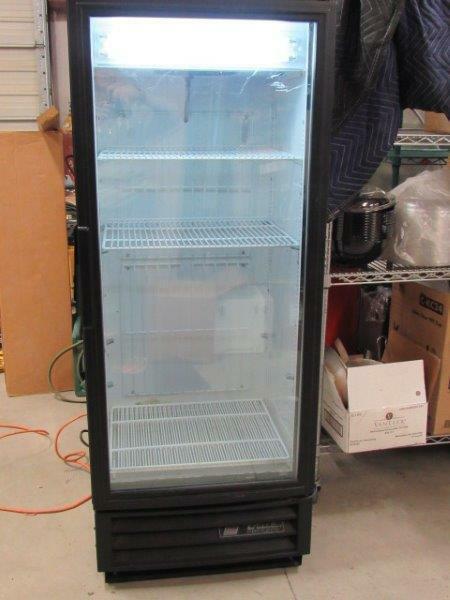 23 Bottle Chiller by Carlisle. Features ultimate insulation and excellent temperature retention. Bottle Chiller by Carlisle. Features ultimate insulation and excellent temperature retention. 24 (x2) (2) Cooking pans measuring at 2.5 height x 21.5 depth (with handle) x 13 width. Two times your bid. 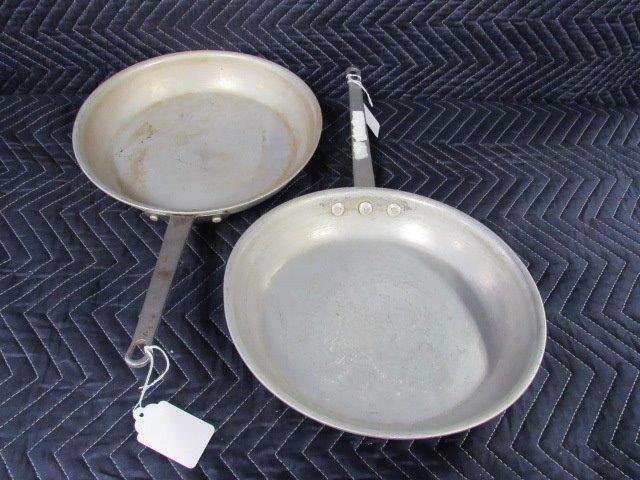 (2) Cooking pans measuring at 2.5 height x 21.5 depth (with handle) x 13 width. Two times your bid. 25 Cooking Pan Measuring at 2.5 inches height x 25.5 inches depth x 14.5 inches width. 93433 $0.01 $0.26	 login to bid. login to bid. Cooking Pan Measuring at 2.5 inches height x 25.5 inches depth x 14.5 inches width. 26 Digital Menu Board by Howard. Digital menu boards give you a number of benefits besides simply displaying your product offering. Digital Menu Board by Howard. Digital menu boards give you a number of benefits besides simply displaying your product offering. 27 Hot Water Dispenser by Curtis. Features: electric with aerator, digital, 5 gallons capacity, 4-1/2 to 15 gallons per hour, 5 gallon tank volume, automatic refill, large LED display, 140 -210 F temperature range, heavy gauge stainless steel, 110/220v/50-60/1-ph. 87936 $6.00 $7.00	 login to bid. login to bid. Hot Water Dispenser by Curtis. Features: electric with aerator, digital, 5 gallons capacity, 4-1/2 to 15 gallons per hour, 5 gallon tank volume, automatic refill, large LED display, 140 -210 F temperature range, heavy gauge stainless steel, 110/220v/50-60/1-ph. 28 Menu Monitor by Kitchen Armor. Features a 21 inch screen and a 2 gig memory. 68031 $1.00 $1.25	 login to bid. login to bid. Menu Monitor by Kitchen Armor. Features a 21 inch screen and a 2 gig memory. 29 Menu Monitor by Kitchen Armor. Features a 21 inch screen and a 2 gig memory. 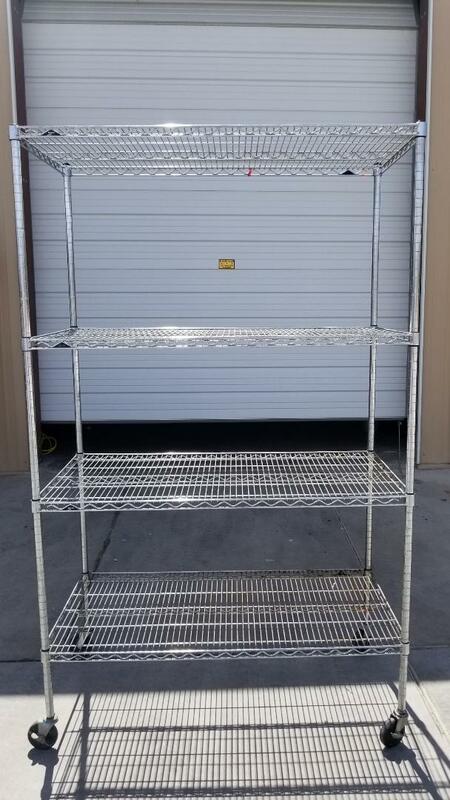 30 Regency 18 Gauge Stainless Steel 12 inch x 24 inch Solid Wall Shelf. 2 Support Brackets. No Sharp Edges. Easy to Clean. 68031 $5.00 $6.00	 login to bid. login to bid. 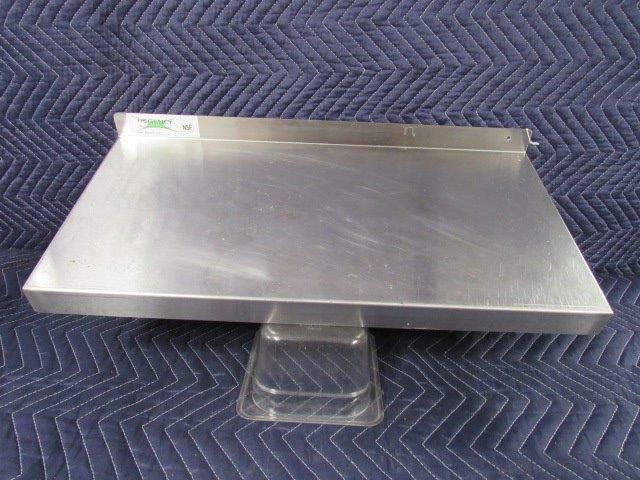 Regency 18 Gauge Stainless Steel 12 inch x 24 inch Solid Wall Shelf. 2 Support Brackets. No Sharp Edges. Easy to Clean. 31 (x5) (5) Cambro 16x16 Black Non-Skid Serving Trays. Fiberglass reinforced polyester construction. Rubber non-skid surface ensures items stay in place during service. Five times your bid. 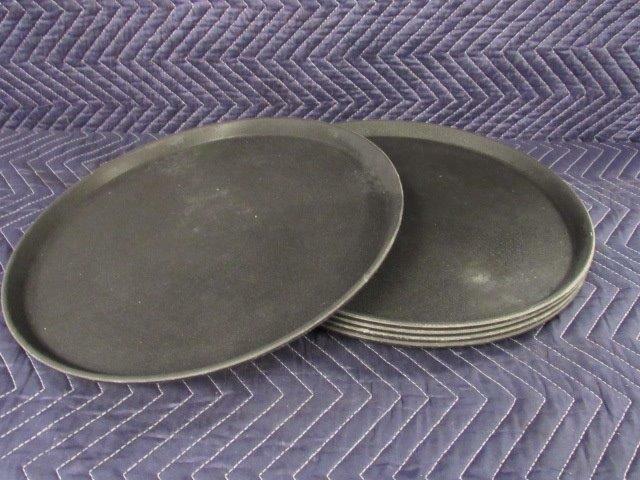 (5) Cambro 16x16 Black Non-Skid Serving Trays. Fiberglass reinforced polyester construction. Rubber non-skid surface ensures items stay in place during service. Five times your bid. 32 (x9) (9) Poly carbonate Wine/Juice Decanters, 1 Liter. Nine times your bid. (9) Poly carbonate Wine/Juice Decanters, 1 Liter. Nine times your bid. 33 Great set of 80 pieces of silverware. Includes: 20 knives, 20 forks, 20 knives and 20 smaller spoons. All one monies. 82950 $9.00 $10.00	 login to bid. login to bid. 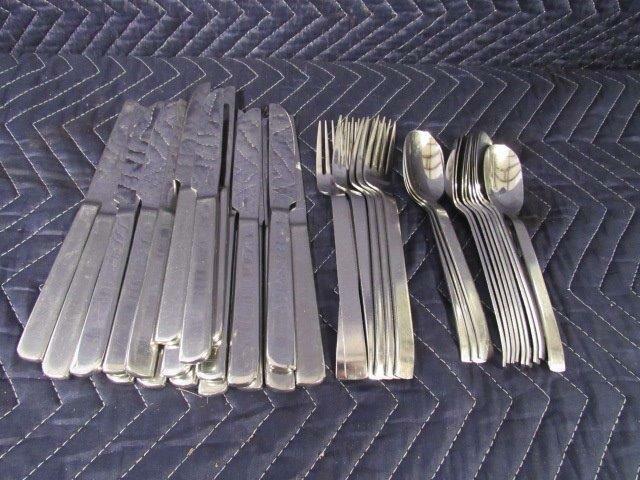 Great set of 80 pieces of silverware. Includes: 20 knives, 20 forks, 20 knives and 20 smaller spoons. All one monies. 34 Great set of 80 pieces of silverware. Includes: 20 knives, 20 forks, 20 knives and 20 smaller spoons. All one monies. 82950 $6.00 $7.00	 login to bid. login to bid. 35 Set of 20 knives, 20 forks and 20 spoons. All one monies. 82950 $1.75 $2.00	 login to bid. login to bid. Set of 20 knives, 20 forks and 20 spoons. All one monies. 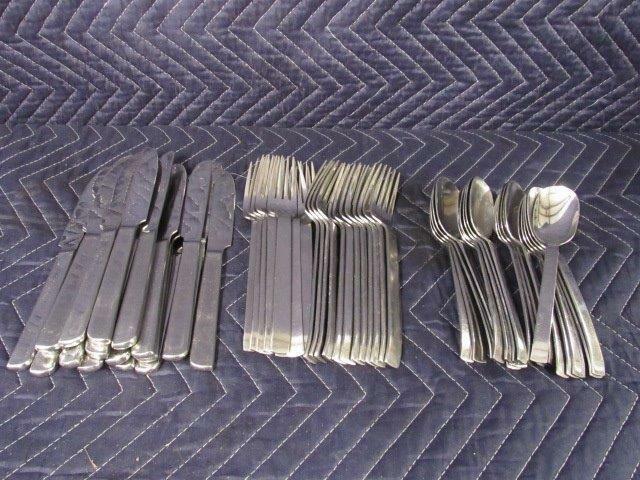 36 Set of 38 pieces of miscellaneous silverware. Includes: 20 knives, 12 spoons and 6 forks. All one monies. 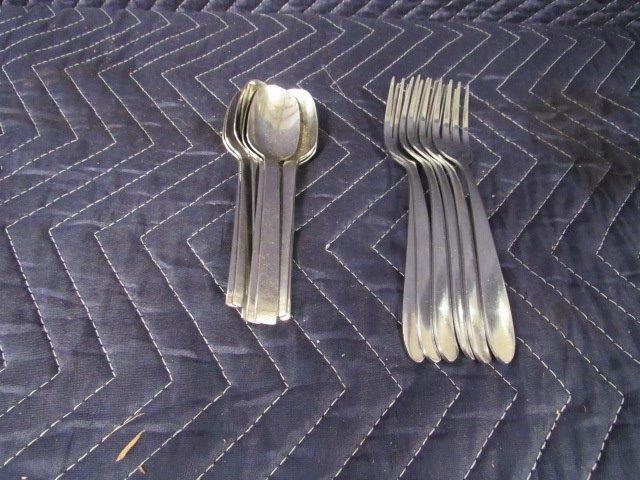 Set of 38 pieces of miscellaneous silverware. Includes: 20 knives, 12 spoons and 6 forks. All one monies. 37 Set of 28 knives. All one monies. 82950 $0.01 $0.26	 login to bid. login to bid. Set of 28 knives. All one monies. 38 Set of 15 pieces of silverware. Includes: 9 small spoons and 6 small forks. All one monies. 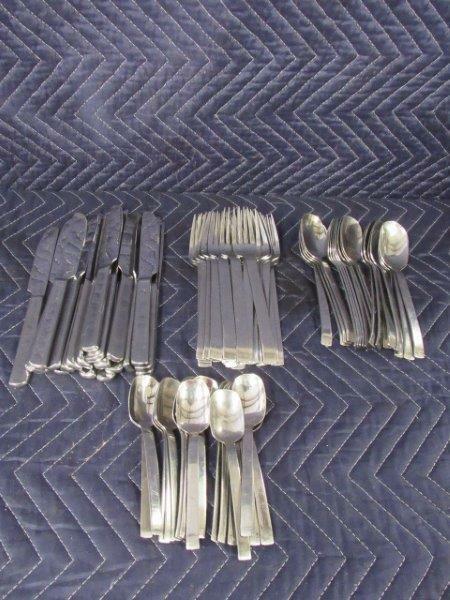 Set of 15 pieces of silverware. Includes: 9 small spoons and 6 small forks. All one monies. 39 (x5) (5) Choice Full Size Perforated Aluminum Sheet Pan. Five times your bid. 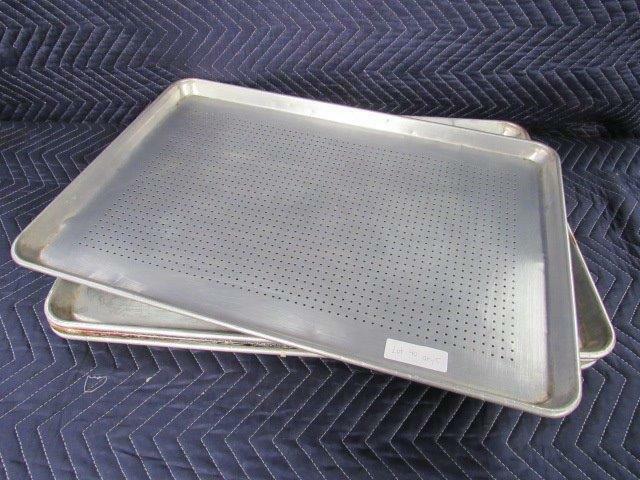 (5) Choice Full Size Perforated Aluminum Sheet Pan. Five times your bid. 40 (x5) (5) Full-Sheet Perforated Cooking Sheets. Measuring at 26 inches width x 18 inches depth. Five times your bid. (5) Full-Sheet Perforated Cooking Sheets. Measuring at 26 inches width x 18 inches depth. Five times your bid. 41 (x7) (7) Full-Sheet Cooking Sheet measuring at 26 inches width x 18 inches depth. Seven times your bid. (7) Full-Sheet Cooking Sheet measuring at 26 inches width x 18 inches depth. Seven times your bid. 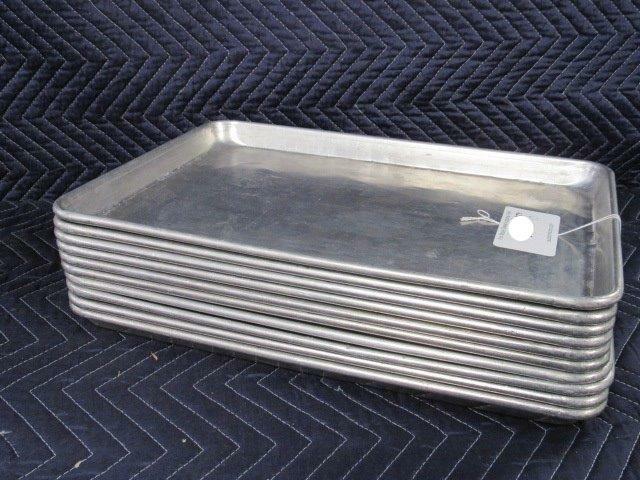 42 (x7) (7) Full-Sheet Cooking Pans measuring at 26 inches width x 18 inches depth. Seven times your bid. $5.01	 login to bid. login to bid. 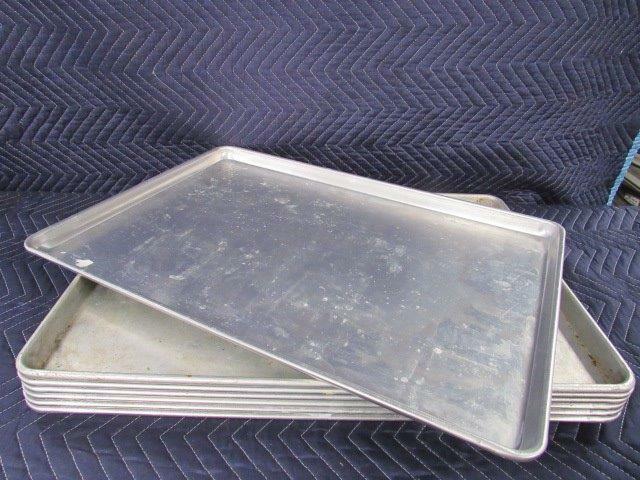 (7) Full-Sheet Cooking Pans measuring at 26 inches width x 18 inches depth. Seven times your bid. 43 (x10) Half-Sheet Cooking Sheets. Measuring at 18 inches width x 13 inches depth. Ten times your bid. $3.50	 login to bid. login to bid. Half-Sheet Cooking Sheets. Measuring at 18 inches width x 13 inches depth. Ten times your bid. 44 (x10) Half-Sheet Cooking Sheets. Measuring at 18 inches width x 13 inches depth. Ten times your bid. 45 (x10) (10) Half-Sheet Cooking Sheets. Measuring at 18 inches width x 13 inches depth. Ten times your bid. (10) Half-Sheet Cooking Sheets. Measuring at 18 inches width x 13 inches depth. Ten times your bid. 46 Set of Ecolab Brush Head and Squeegee, and a Silver Broom Holder. All one monies. 34258 $0.01 $0.26	 login to bid. login to bid. Set of Ecolab Brush Head and Squeegee, and a Silver Broom Holder. All one monies. 47 Set of 4 pitchers. All one monies. 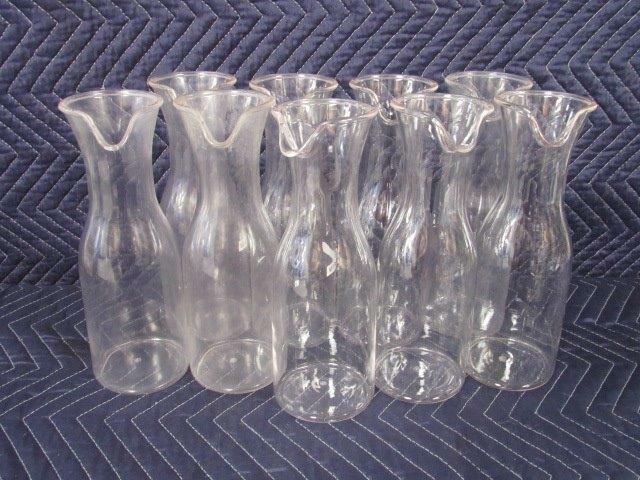 Set of 4 pitchers. All one monies. 48 (x8) 8 Silicone Blue molds with 12 spaces. Each mold has 1 inch depth x 3 inches width. 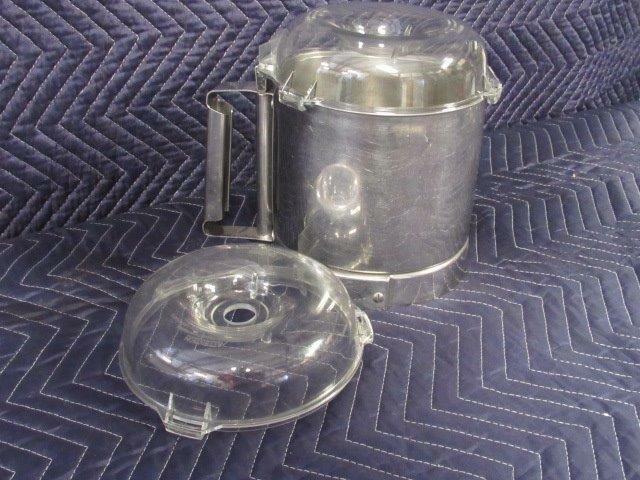 Great for baking, ice cream sandwiches and soap making. Silicone molds have temp resistance of -76 to 446F (-60 to 230C) 8 times your bid. 8 Silicone Blue molds with 12 spaces. Each mold has 1 inch depth x 3 inches width. Great for baking, ice cream sandwiches and soap making. Silicone molds have temp resistance of -76 to 446F (-60 to 230C) 8 times your bid. 49 (x8) 8 Silicone Blue molds with 12 spaces. Each mold has 1 inch depth x 3 inches width. Great for baking, ice cream sandwiches and soap making. Silicone molds have temp resistance of -76 to 446F (-60 to 230C) 8 times your bid. 50 (x8) 8 Silicone Blue molds with 12 spaces. Each mold has 1 inch depth x 3 inches width. Great for baking, ice cream sandwiches and soap making. Silicone molds have temp resistance of -76 to 446F (-60 to 230C) 8 times your bid.